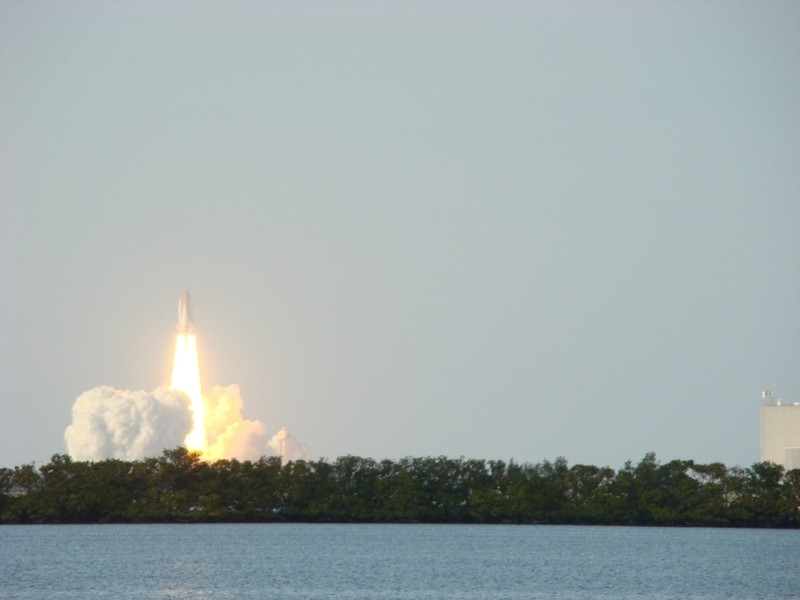 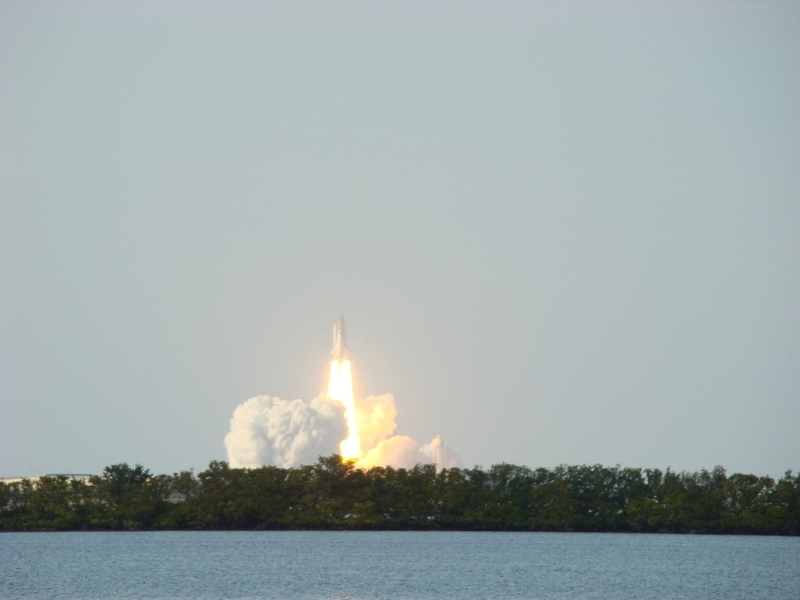 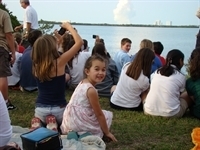 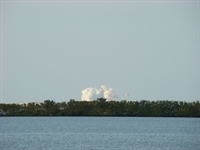 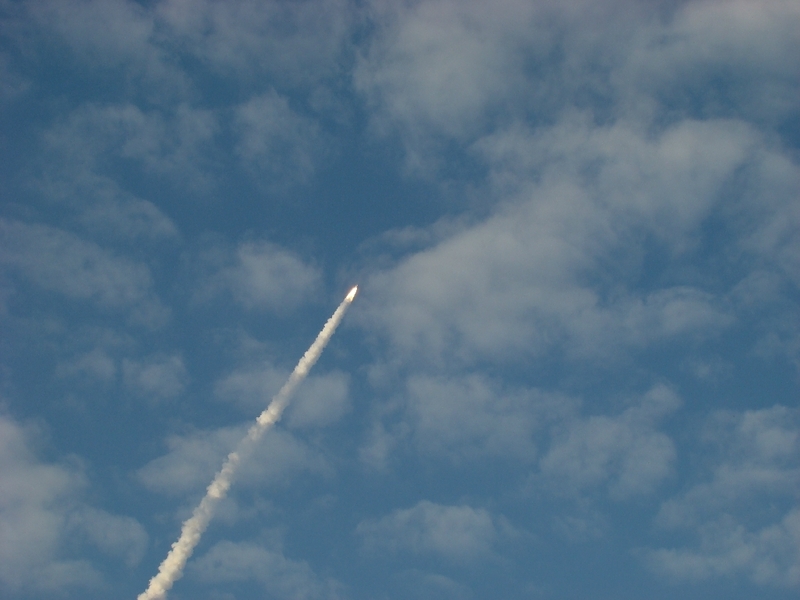 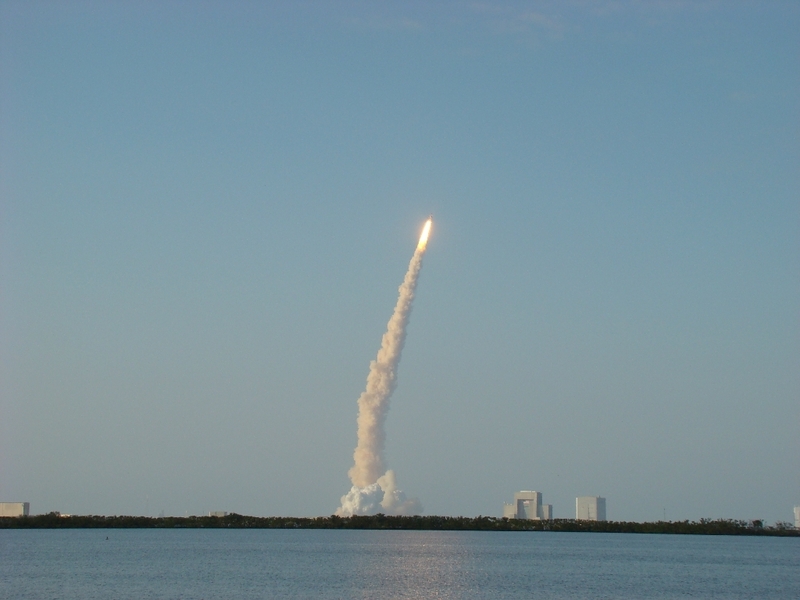 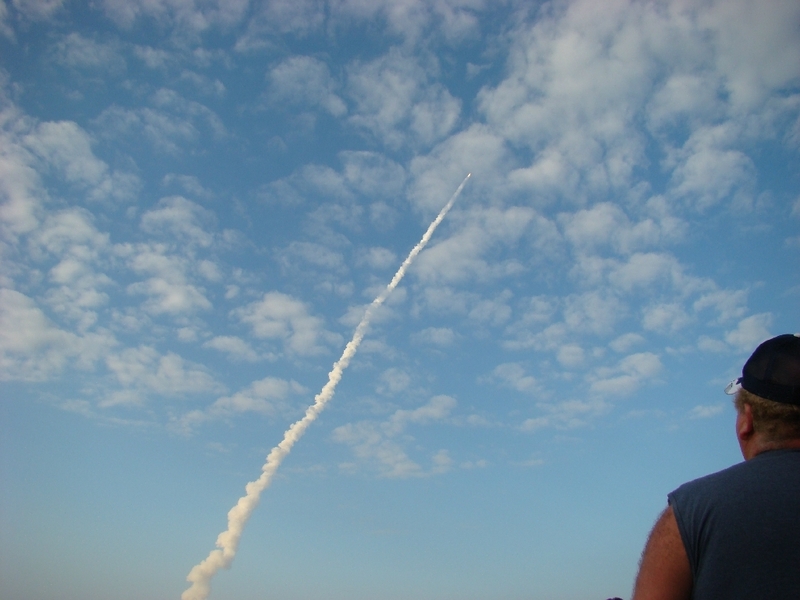 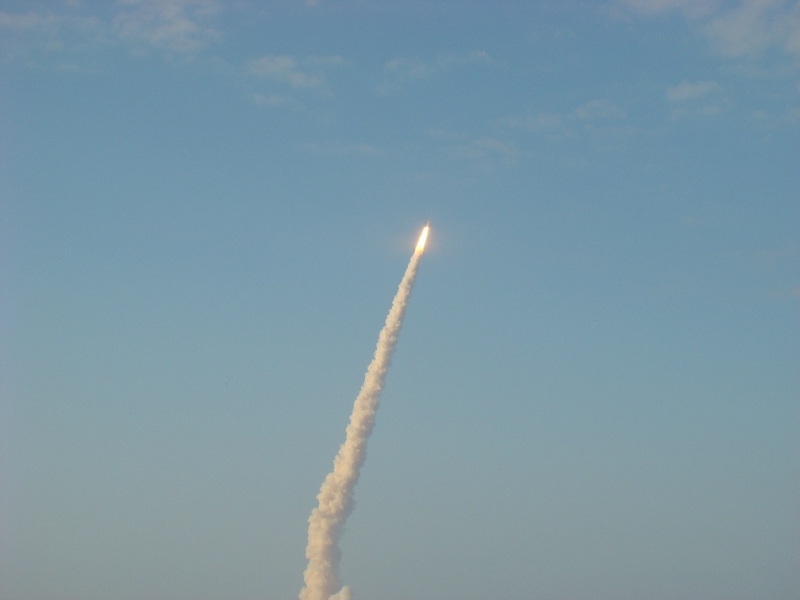 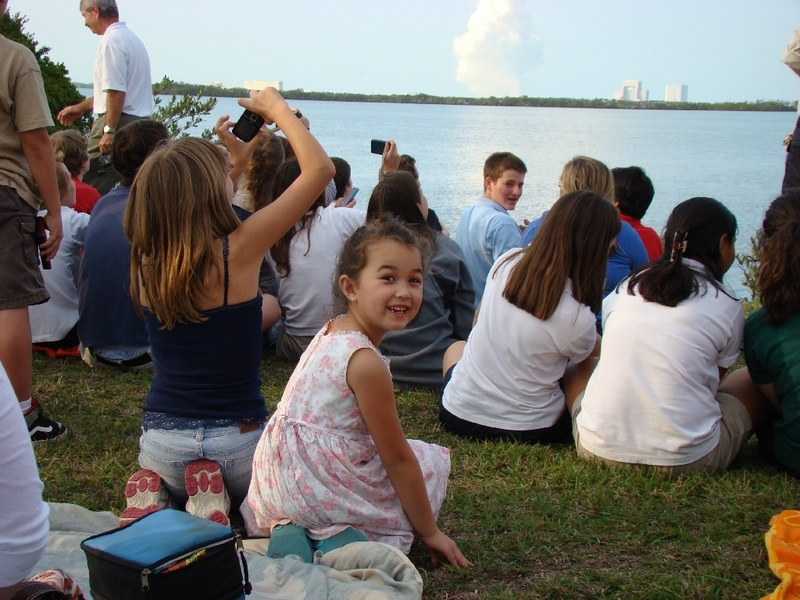 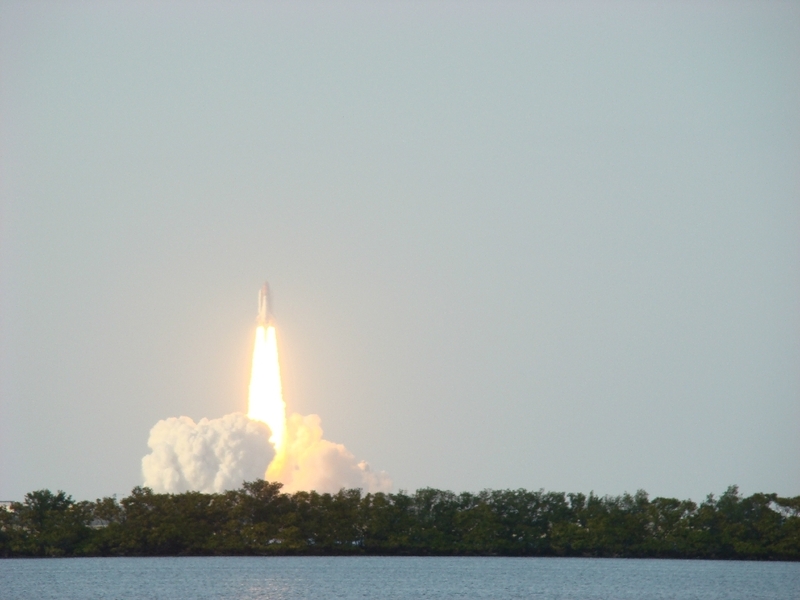 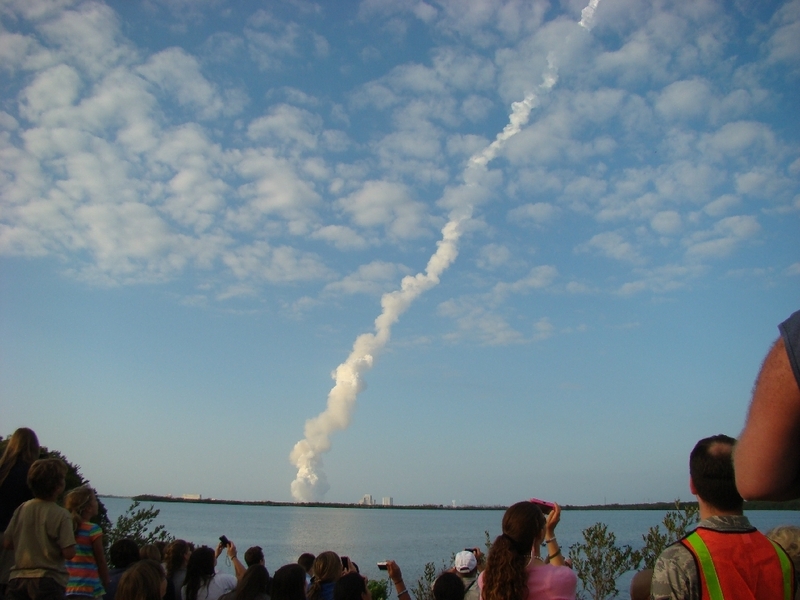 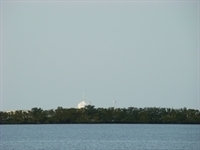 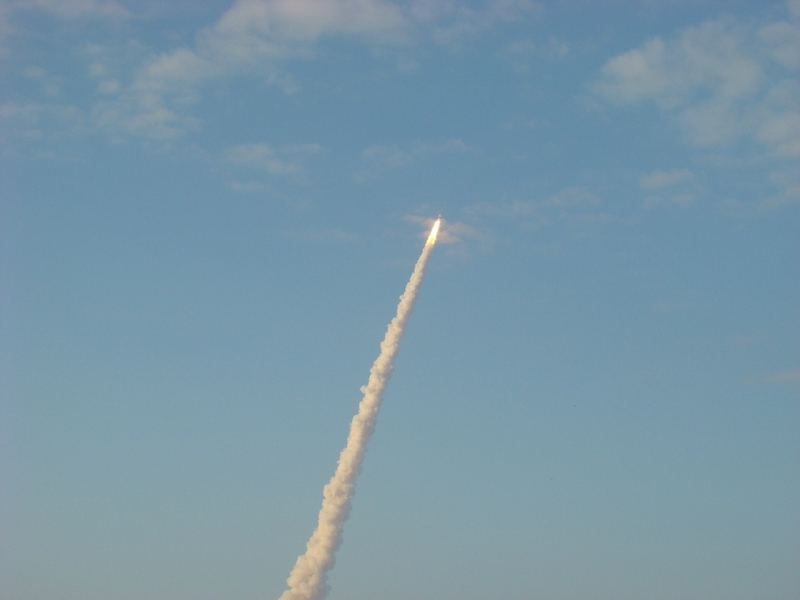 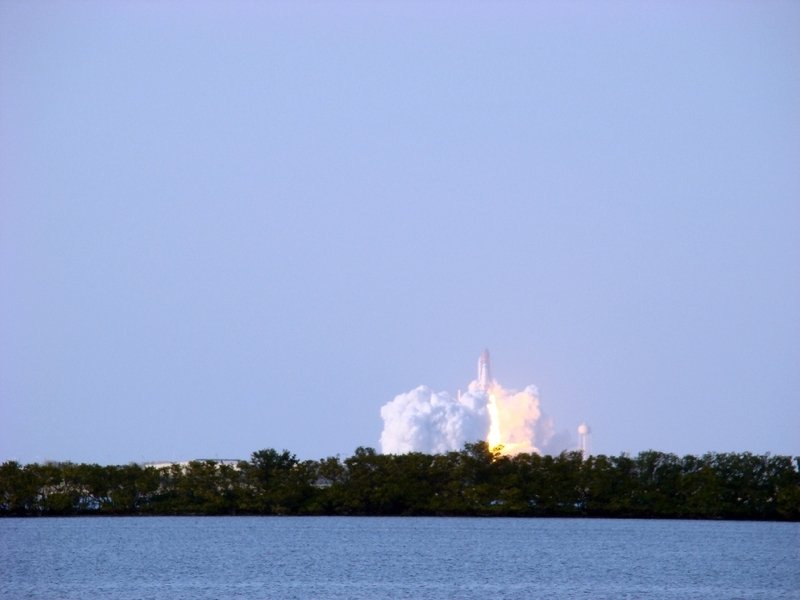 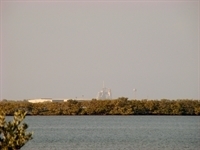 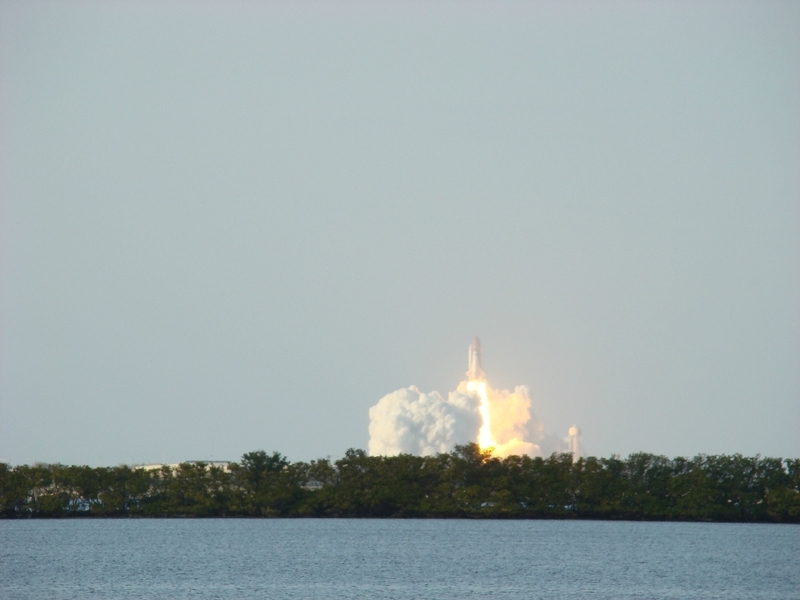 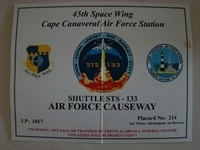 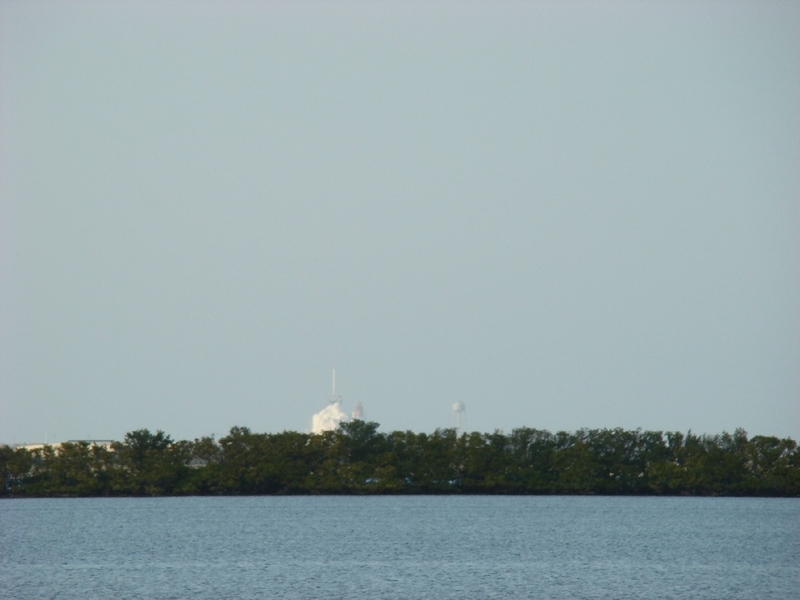 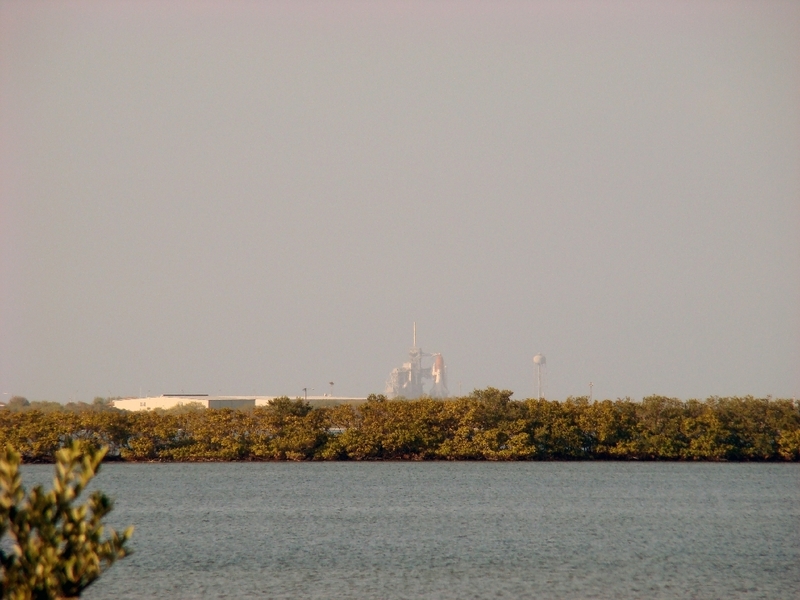 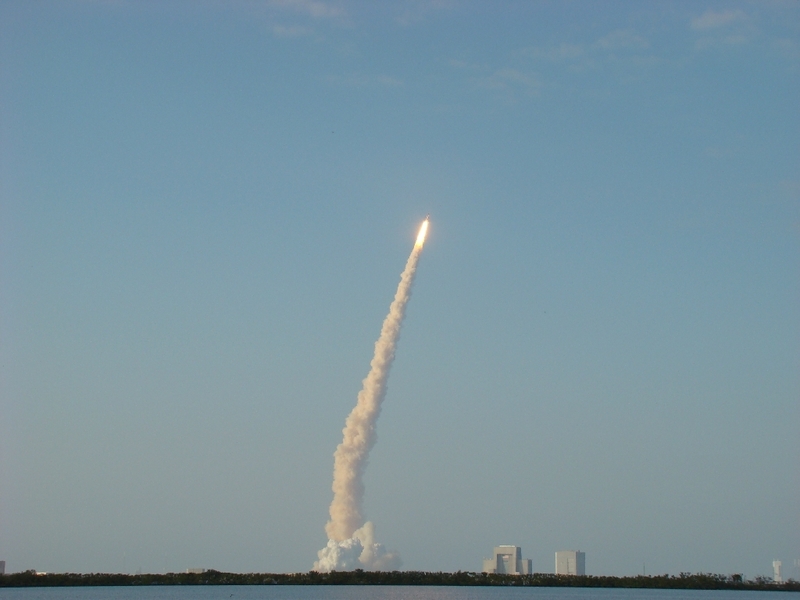 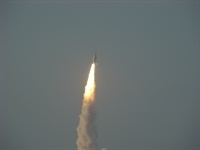 Pictures of the launch of STS 133 from Canaveral air station. 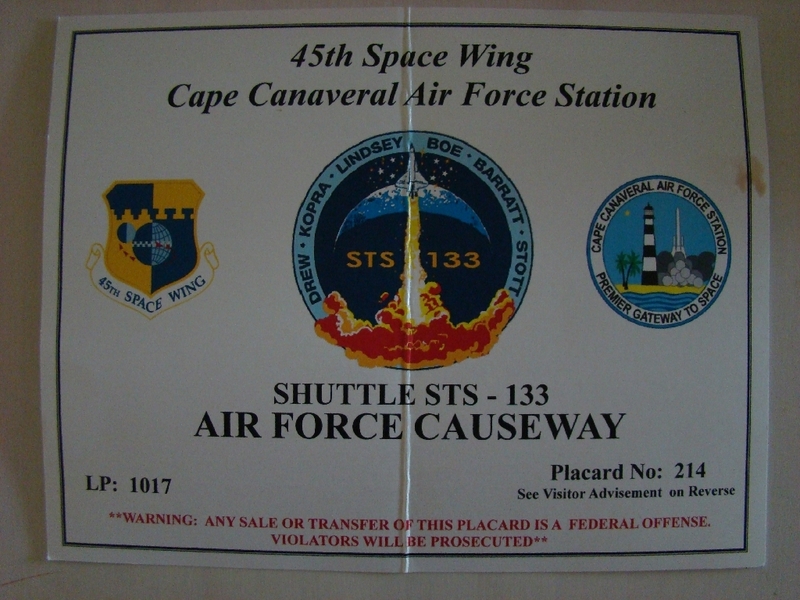 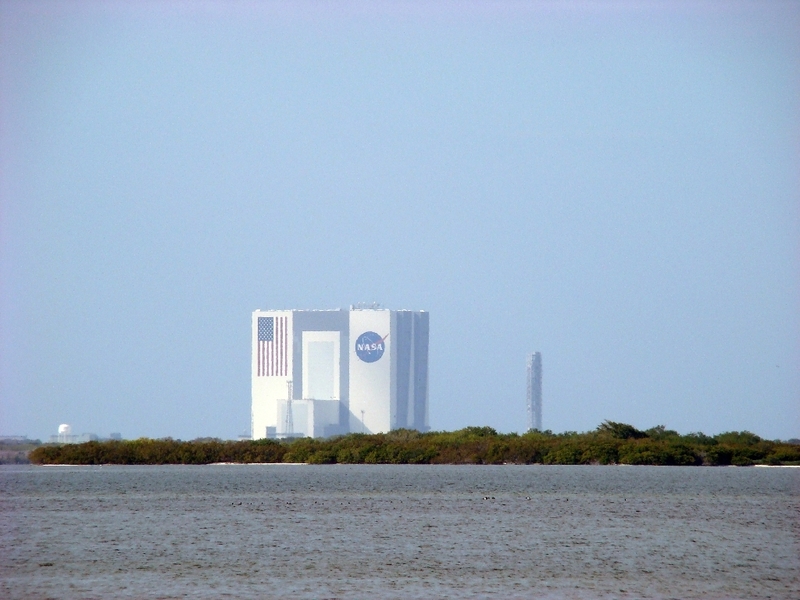 We were able to obtain access to Canaveral Air Force Station (thanks to my brother) for the launch of Discovery (STS-133). 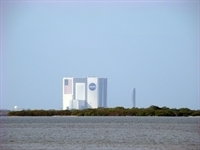 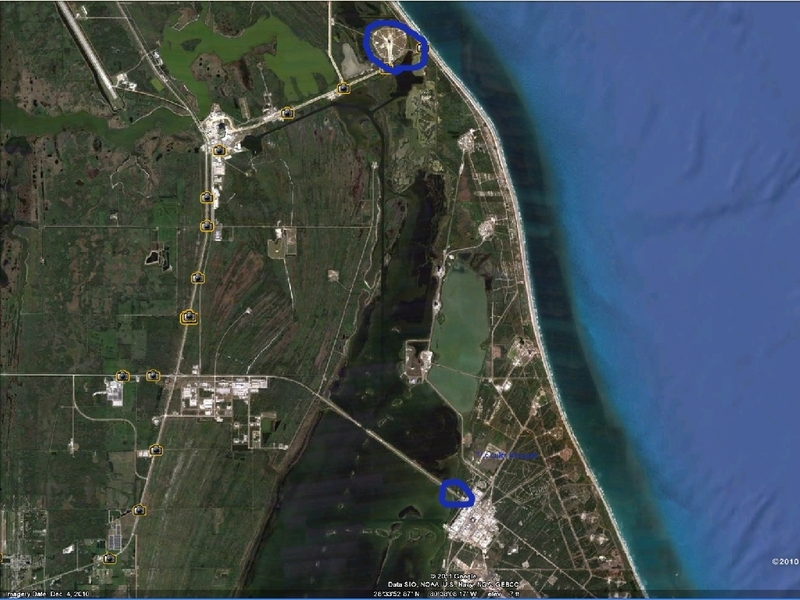 The site is a tad over 7.5 miles from pad 39A according to Google maps. 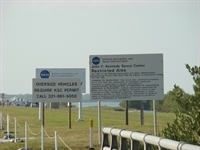 The viewing area is located on the east end of NASA parkway east. 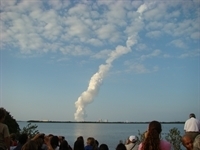 7 miles seems like a lot, but unless your the press, work for NASA or family, it looks like this is about as close as you can get. 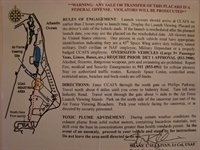 Notice the bottom of the back of the pass - be prepared to evacuate in case the exhaust fumes head your way. 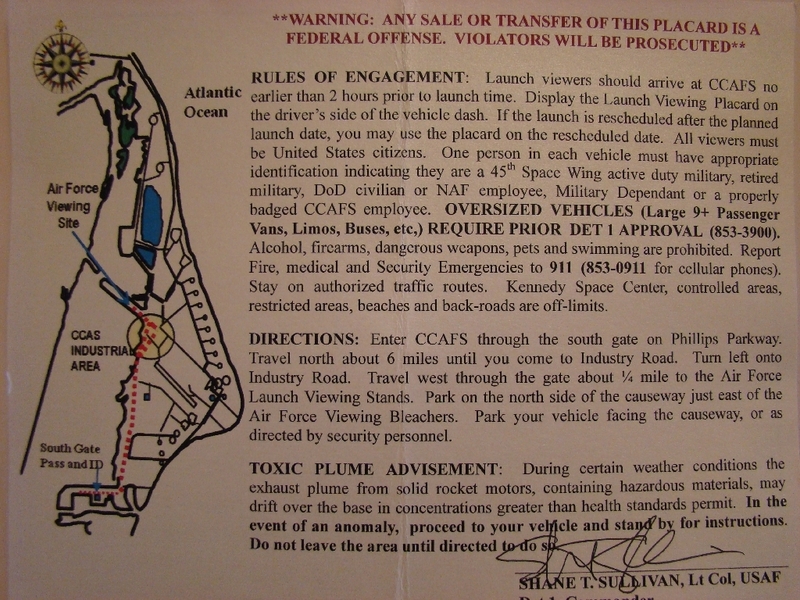 I will say this about this launch spot - with the other million or so that came to see the launch - you're at the end of the traffic line. 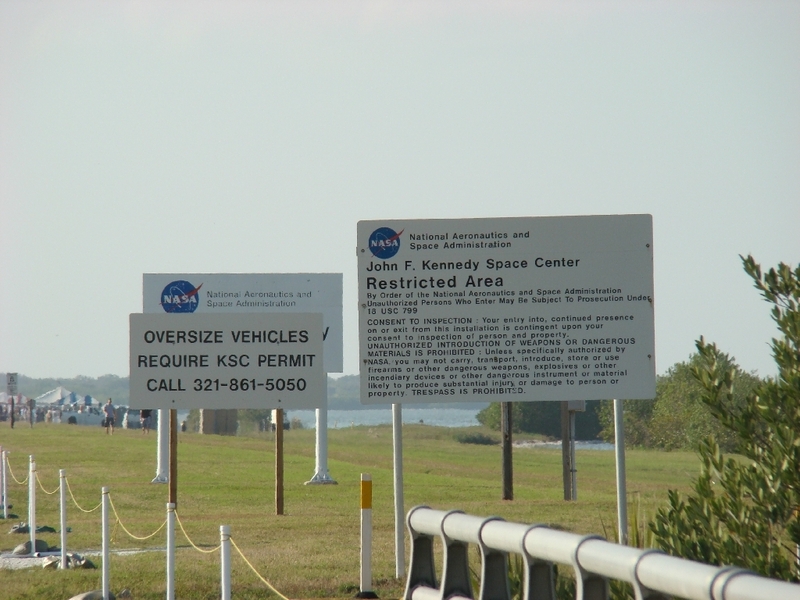 It took us about 2 hours to go roughly 3.5 miles back to port Canaveral where we had the other car parked. 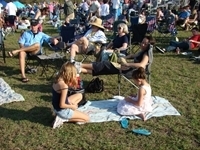 Don't know if local law enforcement was overwhelmed or they just let traffic do whatever, which seemed to be the case. 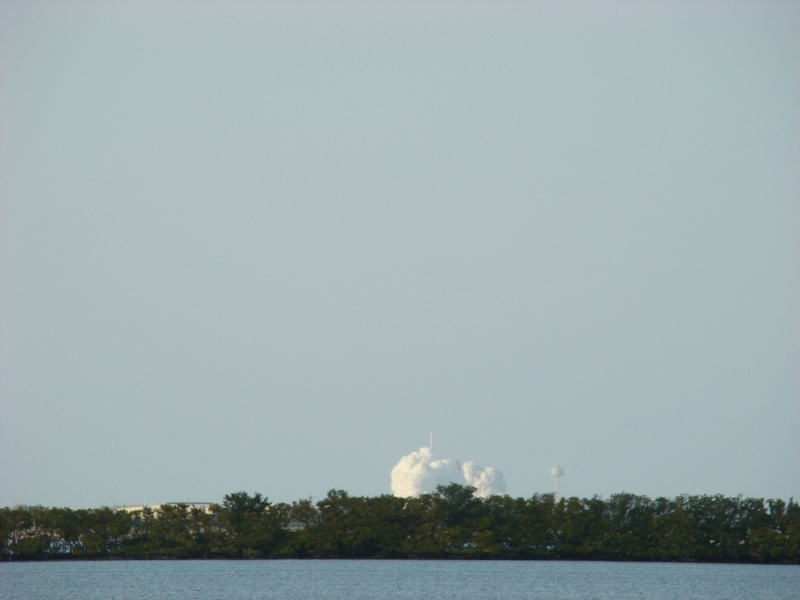 That part was ridiculous. 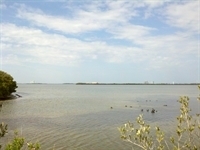 Turned out to be a gorgeous day. 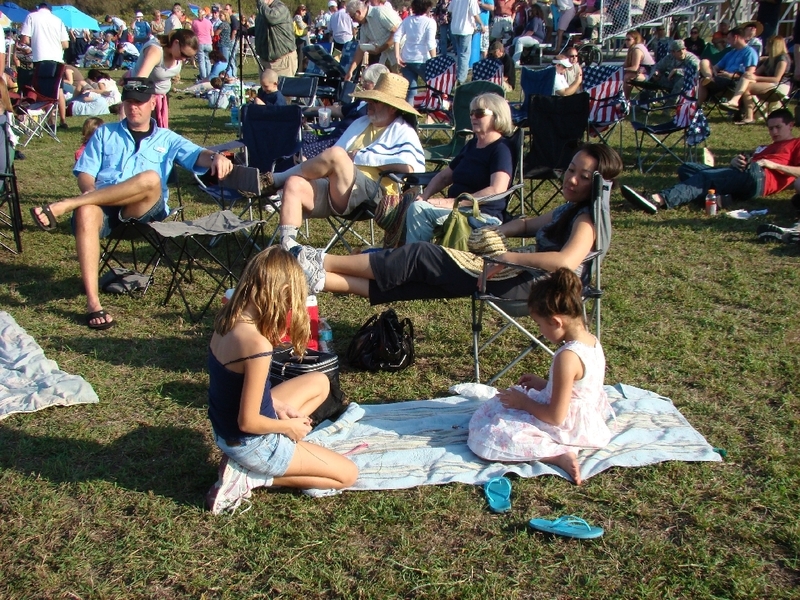 Upper 70s, sunny with a nice breeze off the Atlantic. 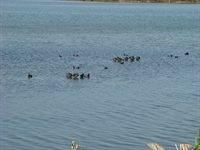 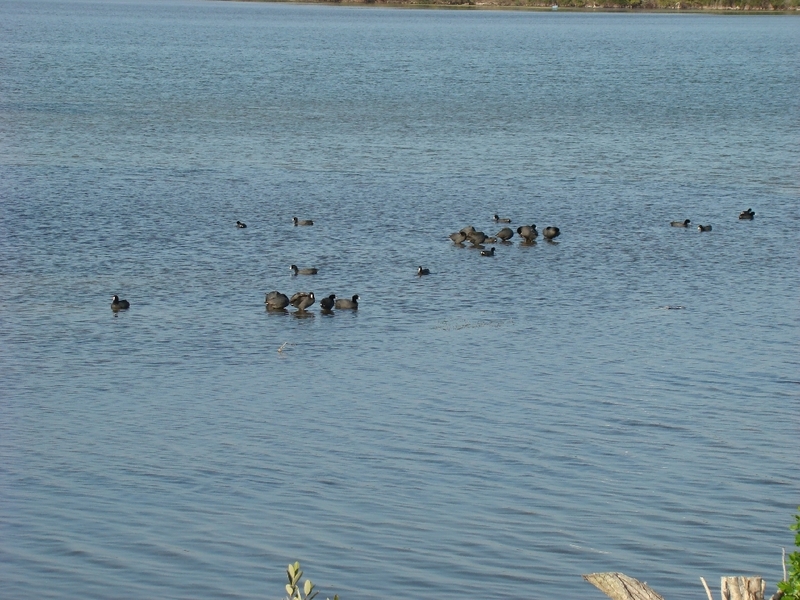 We got to watch a dolphin, a gator, an eagle and some ospreys while we were waiting. 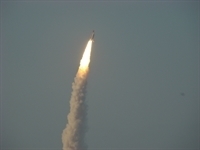 There was an issue just before launch having something to do with a range computer (don't they have some fail over here?) 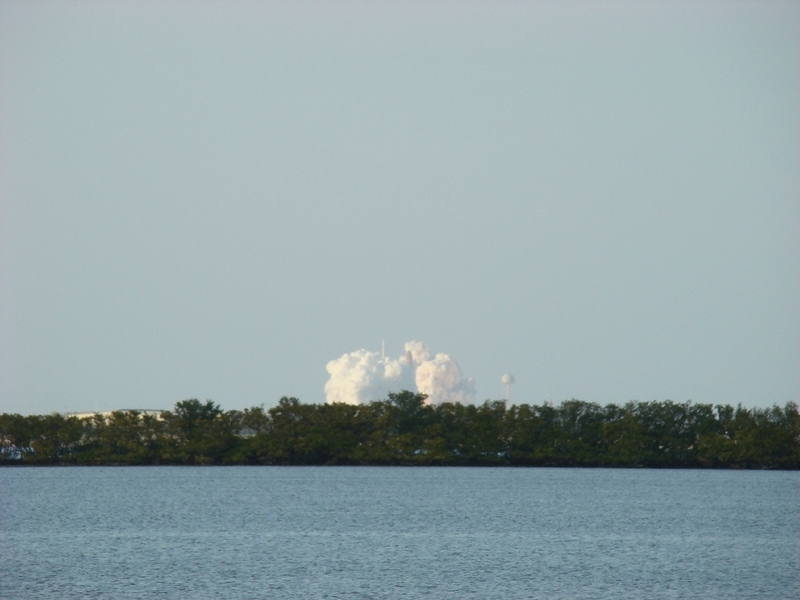 and there was some concern it would go, but it did.